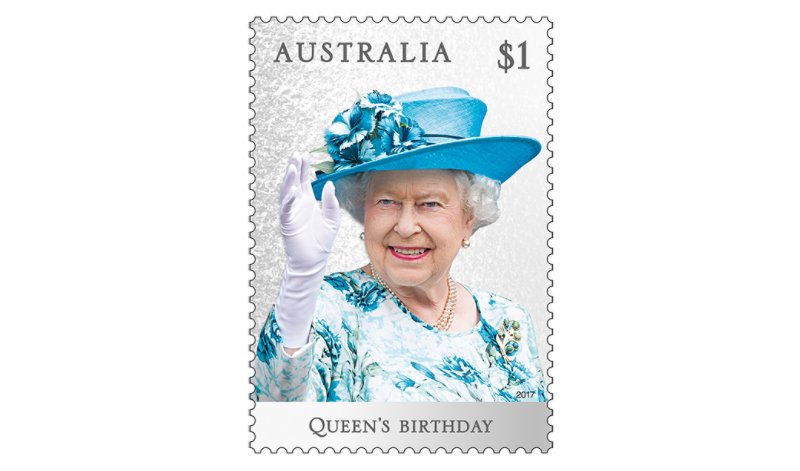 In 2017, the Queen will turn 91. 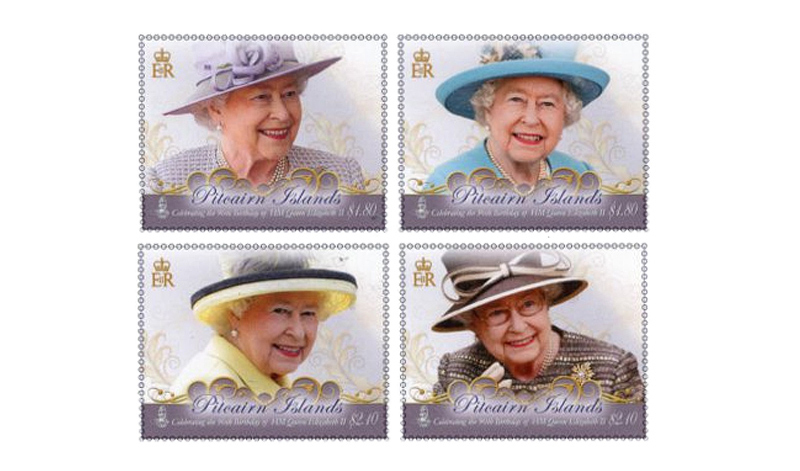 The Queen’s Birthday 2017 stamp issue celebrates this incredible milestone. 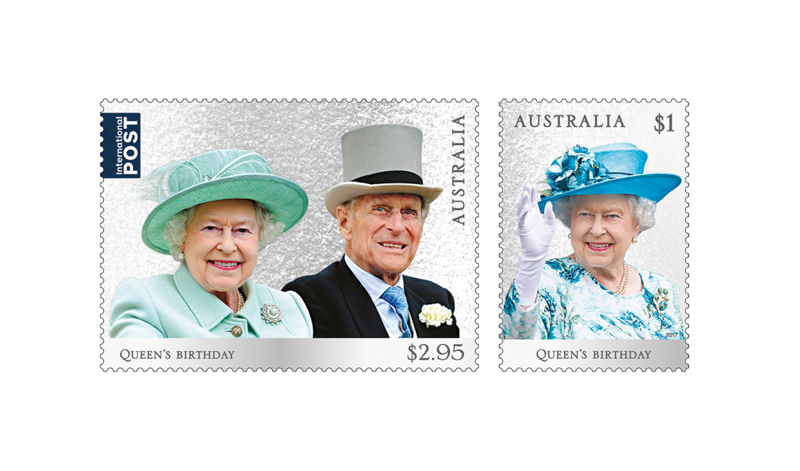 In the domestic base rate stamp, we show the Queen greeting the crowd during a day of public engagements with Prince Philip. On this occasion, Her Majesty is visiting the Broadway Theatre, situated in the London borough of Barking and Dagenham. This year will also mark the 70th anniversary of the marriage of Princess Elizabeth and His Royal Highness Philip, Duke of Edinburgh, which took place on 20 November 1947 at Westminster Abbey, London. 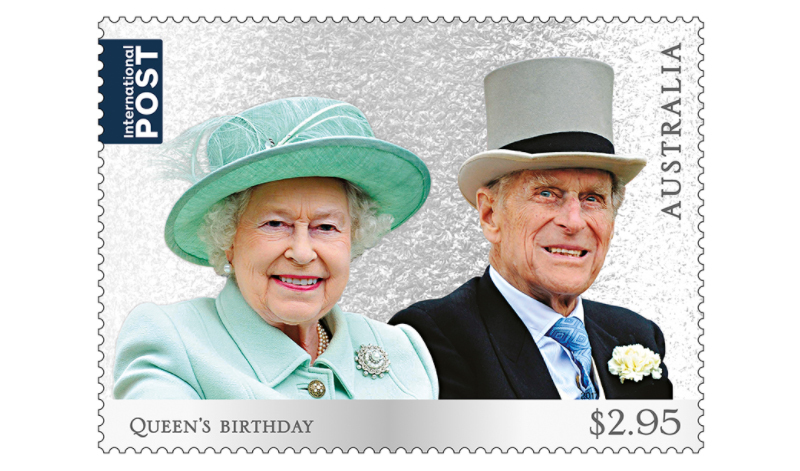 The international rate stamp features Her Majesty and Prince Philip, in recognition of the longevity of their relationship. The couple are riding in the Royal Procession as part of the prestigious five-day horseracing event Royal Ascot. First introduced in 1825 by King George IV, the Royal Procession signals the beginning of each day’s racing. A royal carriage procession, headed by the Queen and Prince Philip, travels up the straight mile in a circuit, transporting the Royal family to the Royal Box. In 2013, The Queen’s own horse, Estimate, won the prestigious Gold Cup race.